The Phoenix Theatre is located on Charing Cross Road in between Leicester Square and Tottenham Court Road stations. The building is near to a host of shops and hotels, and was designed by Sir Giles Gilbert Scott, Bertie Crewe and Cecil Masey. It opened in 1930 of Private Lives, written by and starring Noel Coward, and featuring Gertrude Lawrence and Laurence Olivier in one of his first roles. The theatre has been host to numerous successful plays and musicals over the years, including John Gielgud's Love for Love, Harlequinade and The Browning Version by Terence Rattigan, and Night and Day by Tom Stoppard. Past musicals include That Baker's Wife, The Biograph Girl, and Into The Woods, and for over 21 years, the theatre was home to Blood Brothers, one of longest-running shows in London's history. The interior of the Phoenix is often considered to be one of London's finest. Designed by director and designer Theodore Komisarjevsky in an Italianate style, golden wall engravings and plush, red carpets make the theatre a very striking one. The Phoenix theatre is close to both Tottenham Court Road and Leicester Square tube stations. Tottenham Court Road is approximately a 5 minute walk away and is on both the Central and Northern Lines, whilst Leicester Square is slightly further, but not by much as it should take around 8 minutes walking from the station to the theatre. Leicester Square is on the Piccadilly and Northern lines. All major London train stations connect to tube. The theatre is close to both Tottenham Court Road and Leicester Square tube stations. The venue is in the heart of London so driving is not recommended. The following buses go near the venue - 14, 19, 22b, 24, 29, 38 or 176 to Covent Garden. Located between Flitcroft Street and Phoenix Street, the Phoenix Theatre is close to a Westminster City Council car park in China Town. Parking costs ú15.50 for up to four hours. Seats Non-transfers: there is one wheelchair space in Box C for a non-transfer patron. There are two unfixed chairs in the Box. Box is restricted (left side stage). 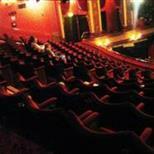 Transfers: into Dress Circle Row A seat 28 (fixed seat) - although, theatre staff are unable to assist disabled patrons. If transferring, the patron's wheelchair will be taken care of by front of house staff during the performance and bought back to the patron once the show has ended. Entrance The main entrance to the theatre is on Phoenix Street. The foyer and box office are one shallow step from street level. There are handrails throughout the theatre on all levels. Stalls There are 13 steps down to the Stalls from the foyer. There is no lift and the Stalls can only be accessed on foot. There are exits at the rear of both aisles. Dress Circle There are 21 steps up from the foyer to the Dress Circle. The Dress Circle can be accessed from street level via Flitcroft Street. There are exits at the rear of both aisles. From back of Dress Circle (row K) to front (row A) there are 18 steps. Upper Circle There are 51 steps up from the foyer to the Upper Circle. There is no lift and the Upper Circle can only be accessed on foot. Exits at rear (row J). From back of Upper Circle (row J) to front (row A) there are 24 steps. Bars There are bars on all levels. Plushy bar is 4 steps down from the Stalls. Dress Circle bar is 3 steps up from the Dress Circle. Upper Circle bar is 8 steps down from the Upper Circle. Patrons must negotiate stairs to access any of the bars. If prearranged with front of house drinks can be left in the Royal Room for access patrons using the Box. There is access to the theatre with no steps via Flitcroft Street. Wheelchair users can access the theatre with no steps via Flitcroft Street. Sennheiser Infra-red and Induction Loop sound amplification systems are in use throughout the auditorium. These can be collected from the foyer bar on Phoenix Street. Guide dogs are allowed into the theatre area, although, they are not allowed into the show. A member of staff will dog-sit during the show.